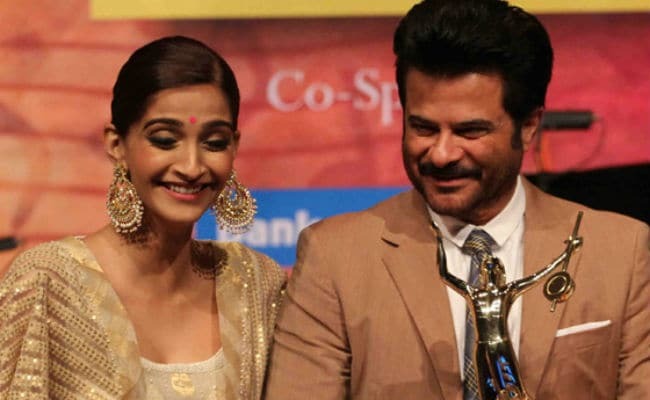 Actress Sonam Kapoor is all set to co-star with her father Anil Kapoor in a film titled, Ek Ladki Ko Dekha Toh Aisa Laga, which went on floors today, trade analyst Taran Adarsh tweeted. While Anil Kapoor has starred with Arjun Kapoor (his nephew) for a film, this would be the actor's first collaboration with Sonam, who debuted in the industry over a decade ago. Ek Ladki Ko Dekha Toh Aisa Laga also stars Rajkummar Rao and Juhi Chawla, directed by Shelly Chopra Dhar. Interestingly, Ek Ladki Ko Dekha Toh Aisa Laga was a song from Anil Kapoor's film 1942: A Love Story, also starring Manisha Koirala. Read Taran Adarsh's tweet here. Anil Kapoor, Sonam Kapoor, Rajkummar Rao and Juhi Chawla in Vidhu Vinod Chopra's new film #EkLadkiKoDekhaTohAisaLaga... Marks directorial debut of Shelly Chopra Dhar... Co-produced by Fox Star... Filming begins today. Shelly Chopra Dhar, who is directing a film for the first time, told mid-day, "Anil is like a kid, extremely excited about his role. His character sports a look that hasn't been seen on him in a long time. We will be shooting at a family house in Patiala, which is a perfect setting for the film. I am shooting entirely at real locations as I want the film to develop as organically as possible. We can't wait to start rolling now." Ek Ladki Ko Dekha Toh Aisa Laga is co-produced by Vidhu Vinod Chopra. Meanwhile, Sonam Kapoor is prepping for the release of PadMan, headlined by Akshay Kumar. The film is produced by Twinkle Khanna and also stars Radhika Apte. Anil Kapoor has Fanne Khan with Aishwarya Rai Bachchan and Rajkummar Rao in the pipeline. His other two films - Race 3 and Total Dhamaal - also went on floors a few weeks ago.